Yes, it's yet another remake. Bradley Cooper and Lady Gaga live the high life in A Star Is Born. The success of the fourth Hollywood version of A Star Is Born depends on our expectations. 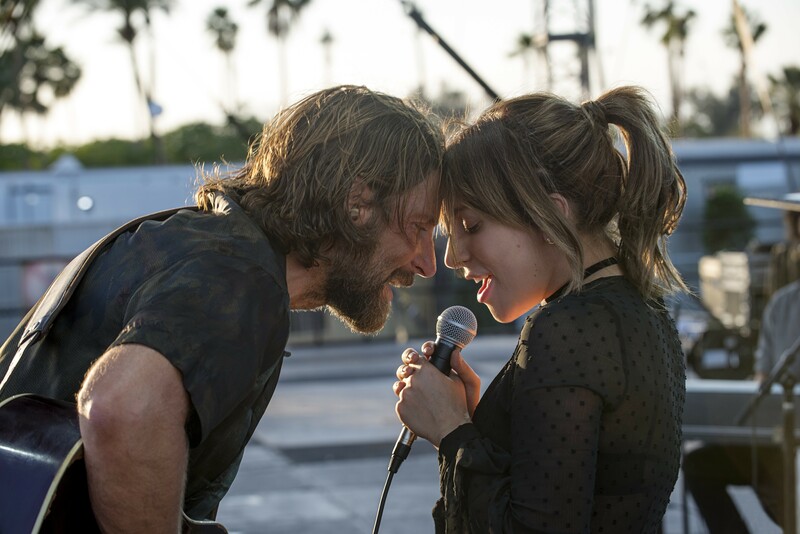 If we're ready to throw away the three earlier stories of doomed showbiz love and concentrate our suspension of disbelief on Bradley Cooper (who directs as well as stars) and Lady Gaga, Cooper's decidedly musical take on the classic property works just fine. With one or two reservations. Cooper's countrypolitan singer-songwriter Jack Maine is coasting toward retirement in a haze of booze and pills. But he still fills stadiums, despite a case of tinnitus that has left him seriously hearing-impaired. All he has to do is stagger up to the mic. Then one night after a show, he impulsively stumbles into a drag bar where a part-time entertainer named Ally (Gaga) is the next one up. Her rendition of Édith Piaf's "La Vie en Rose" tears the house down around Jack's ears. They go goo-goo for each other, and before long she's part of Jack's tour, eventually soloing her own material. Then things begin to happen. The songs — by a combination of Cooper, Gaga, and a small army of songwriters including DJ White Shadow, Mark Ronson, and Jason Isbell — are uniformly forgettable. But Gaga cleans up good, and she puts her numbers across with throaty conviction. Her relatively unglamorous "real" looks pair up well with Cooper's bearded channeling of Kris Kristofferson (from the 1976 A Star Is Born), and we can feel the heat between them. They make an appealing, down-to-earth couple, and in a romantic musical much thinner than, say, La La Land, that's enough to clear the hurdle.